Artificial Intelligence? Why Scientist Go Crazy about it? The Scientists still can’t make the ends meet. The professional society is completely divided: How artificial intelligence will affect various aspects of our daily life? Some truly believe that artificial intelligence has inexhaustible potential and vast opportunities; the others lead as an argument the rebellion of machines and the destruction of mankind. Let’s try to understand can robots really destroy us and eliminate humanity from the Earth. 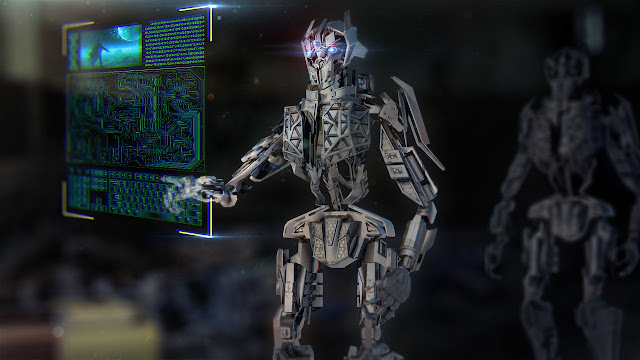 Artificial Intelligence (AI) - the science and technology of creating intelligent machines, especially intelligent computer programs; the property of intelligent systems to perform creative functions, which are traditionally considered the prerogative of man. AI is definitely something that can have a computer understand human intelligence, however the ways to achieve this are not limited to biological methods. Various different approaches are being tried by various AI experts and more methods a discovered every day. What AI can change in our lives? Let’s go into some aspects of city life of the future where artificial intelligence has either already turned the status quo, or has the potential to do so. Among these areas, it’s possible to list transport and health care, education, and security. Transport is likely to become one of the first areas in which the general public will be asked to trust the reliability and security of the artificial intelligence system for solving a critical problem. Autonomous transport in the near future will become a common thing and, as the first experience of the majority of people with physically embodied systems of artificial intelligence will greatly influence the perception. The current health care system remains structurally inappropriate for the rapid deployment of high-tech achievements and the capabilities of artificial intelligence. Looking forward to another 15 years, you can talk about time, when advanced systems of artificial intelligence in combination with a sufficient amount of data and address systems will take on some computational types of tasks. Artificial intelligence will also make it faster: first, the process of extracting ideas from data at the population level; secondly, the setting of more personalized diagnoses and possible therapies. and cameras will better help prevent crime and criminal prosecution by increasing the accuracy of the classification of events and when processing video to identify anomalies. monitoring the activity of large gatherings of people for the purpose of analyzing security. There is a lot of work ahead to model the behavior of the crowd in order to determine how it can be controlled. At the same time, legitimate concerns can be expressed about the abuse of authority by law enforcement agencies and the use of these tools to invade private life. As for employment in the workplace, the study of artificial intelligence is seen as a substitute for trivial tasks, as well as the possibility of creating new types of professions. Soon the systems will be able to serve themselves, including creating updates and repairmen. Answering the question of whether we should be afraid of robots that are becoming clever enough to destroy humanity, for now, we can consider no as an appropriate answer. Simply because we have a self-contained car does not mean that we will have a robot, that can fold clothes or do something else useful for you. Each of these tasks requires continuous research, and ... this does not mean that if we succeeded in solving one of them, then we automatically became better at solving others. Ultimately, we are very optimistic about the fact that the technologies of artificial intelligence will help improve the world. Ashish Sharma is the Chief Marketing Officer at WeDigTech, a Hub of Mobile App Developer in LA California US. He is responsible for marketing activities that have to do with creating, communicating and delivering offerings that have value for clients or business partners.